1 Blue team pass ball to red. Use arms to control the space but no contact. 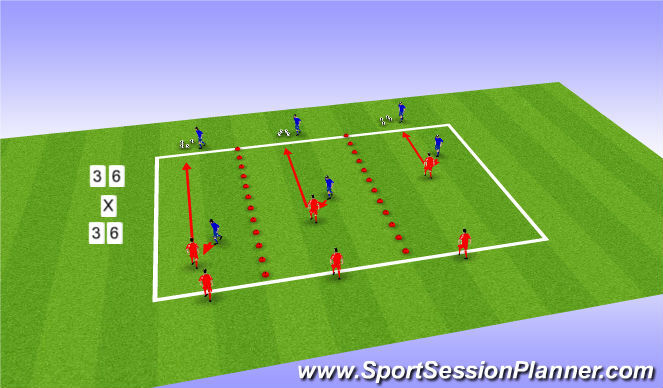 In the skill session, the players must pass the ball to an attacking player and as soon as they take their initial touch, the player must go to defend. They must do this by reaching the attacker, getting down low and to jockey the attacker until they can make a tackle. 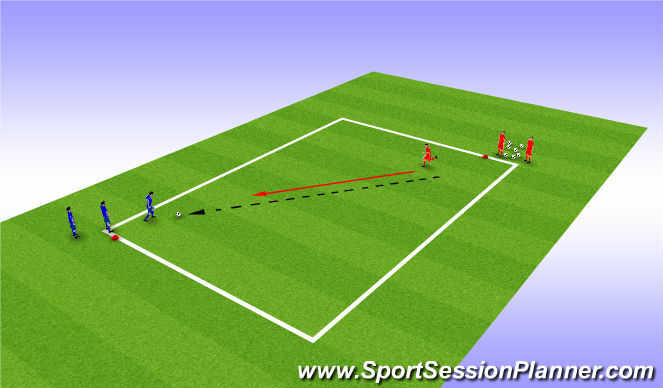 move to 2v2 and encourage the players to use body positions to control the attacker direction of play. 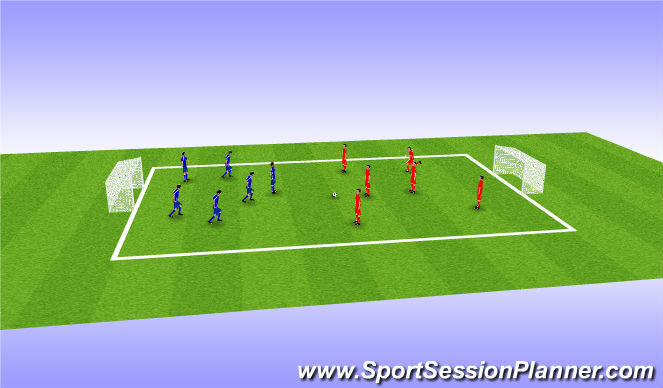 In the small sided game, the match will start off with free play and continue to the end doing so. There will be conditions added to this game to increase the defending participation. The first condition is that if the players manage to make a tackle and socre within 5 seconds after the tackle, they are awarded with 3 goals all together.